Do you actually know that pores in the monster zone are more noticeable than other zones and thus must be more thoroughly taken care of? If the pore barrier weakens due to excessive sebum, the amount of moisture loss increases and pores grow wider. 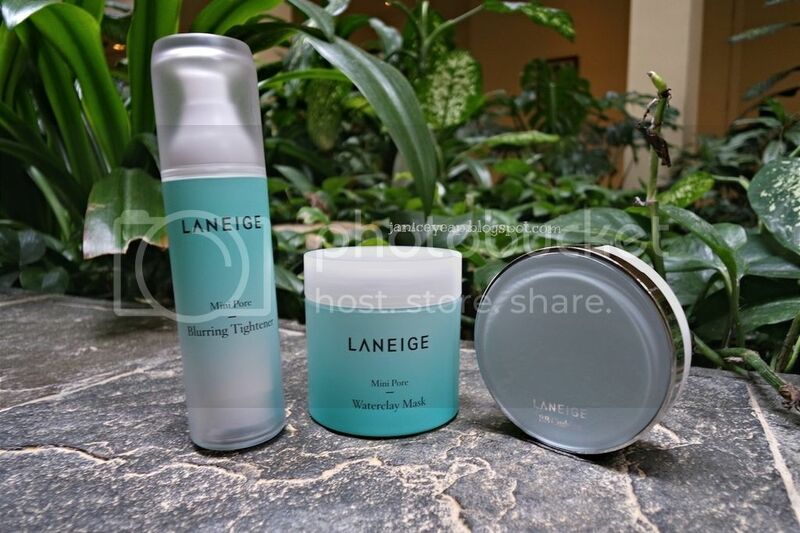 Now you do not have to worry about it anymore because Laneige has finally launched special range which is Mini Pore to target the pore problems. 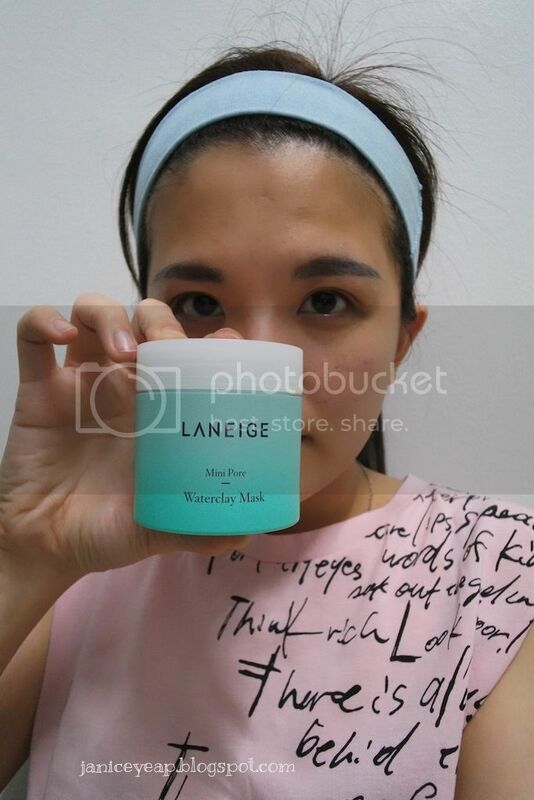 Laneige Mini Pore's unique pore solution covers and tightens big and ugly monster pores to make your skin clean and luminous. The all-new Mini Pore range by Laneige helps to tighten the pores and at the same time working effectively to control excessive sebum and supplies moisture to dry pores. As you all know excessive sebum and monster pores are the biggest discouragements in achieving a perfect, flawless makeup finish. Dry skin, ageing and sagging skin as well as oily skin can also cause pores to enlarge. With Laneige's all-new Mini Pore range and the BB Cushion Pore Control, you will have flawless skin in no time. 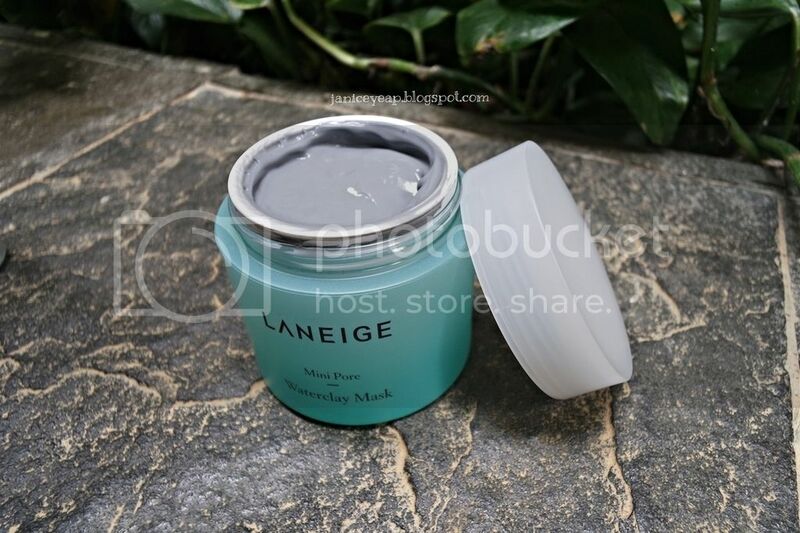 Laneige's Mini Pore range which comprises of the Mini Pore Waterclay Mask and Mini Pore Blurring Tightener will first be deployed onto your skin to manage those pores. Let me start off with this Waterclay Mask from the Mini Pore range. This Waterclay Mask is a watery gel-type clay that works effectively to control excessive sebum, tightens pores and supplies moisture to dry pores (let's see if it works on my skin as what it claimed to be). It is formulated with Pore MinimizingTM, a formula which contains Mint Water. Mint Water strengthens the skin's barrier by supplying moisture to the skin and by providing care for pore dryness. It also contains Pine Needle Extract which prevents the enlargement of pores by controlling excessive sebum secretion. The clay from Mini Pore Waterclay Mask is a naturally extracted mud from the Shinan area, the only 1st grade uncontaminated area of mud flat and a UNESCO World Heritage site. The clay has excellent sebum absorption with its fine particles and large surface area from its holes. 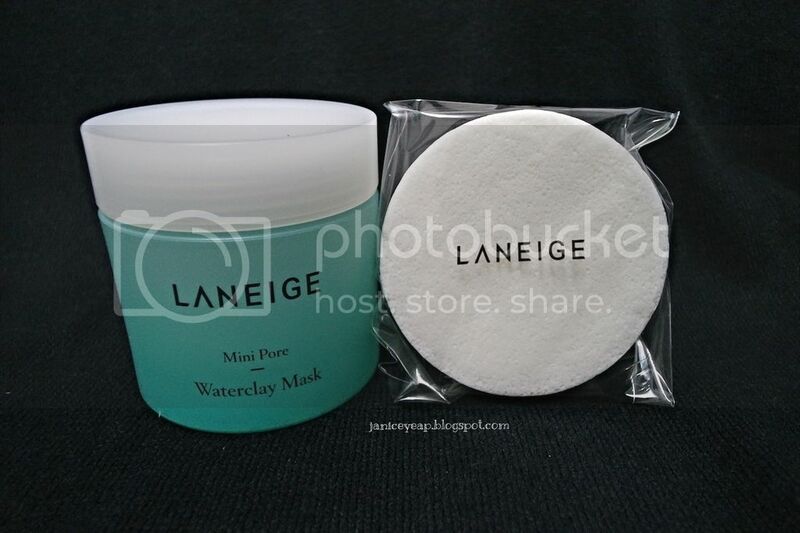 The Waterclay Mask comes in a turquoise colour jar and a sponge in a box. It comes in a 100ml jar and it's sufficient to last you for a few months if you use it twice a week. I like how they include a sponge for us to clean our face with after the mask application. 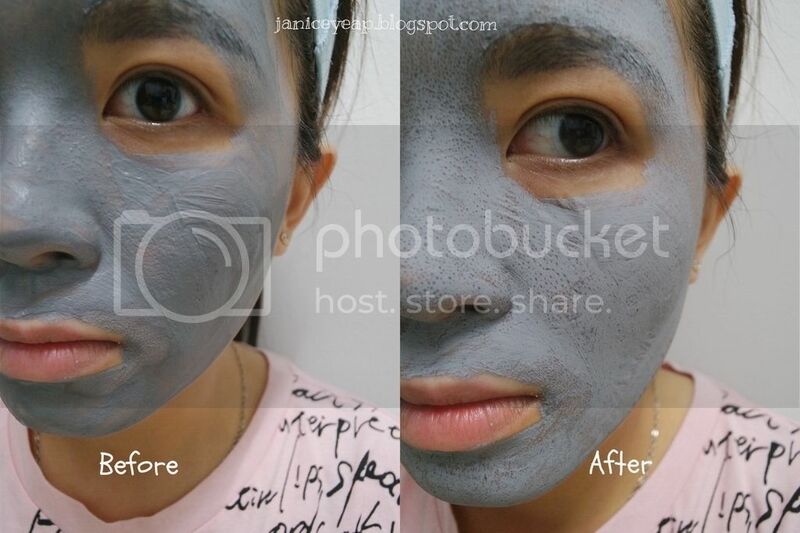 This sponge can used to remove blackheads and whiteheads on the face after the mask has dried up. The only drawback from the packaging side is that they should include a spatula in each of the packaging to avoid cross-contamination in the jar. Thank goodness I have a spatula and a brush with me. 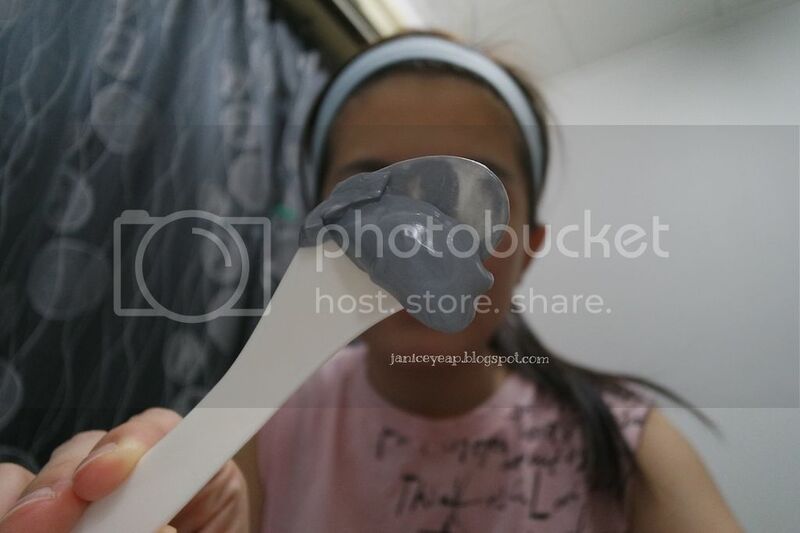 Spatula is used to scoop out a certain amount of clay that I want to use on my face. I find it hard to use fingers to spread evenly on the face as it's a watery gel-type mask. Anyway, I will suggest you to use a coin size of 20 cents of mask as it is sufficient enough to cover up the face. Since I have a bigger face, I scooped an old 50 cents coin size and use the brush to apply on my face. Do not ever put the remaining mask you have scooped out using the spatula back into the jar. This is to avoid the remaining mask to be mixed with the new clay mask in the jar and reduce the contamination. 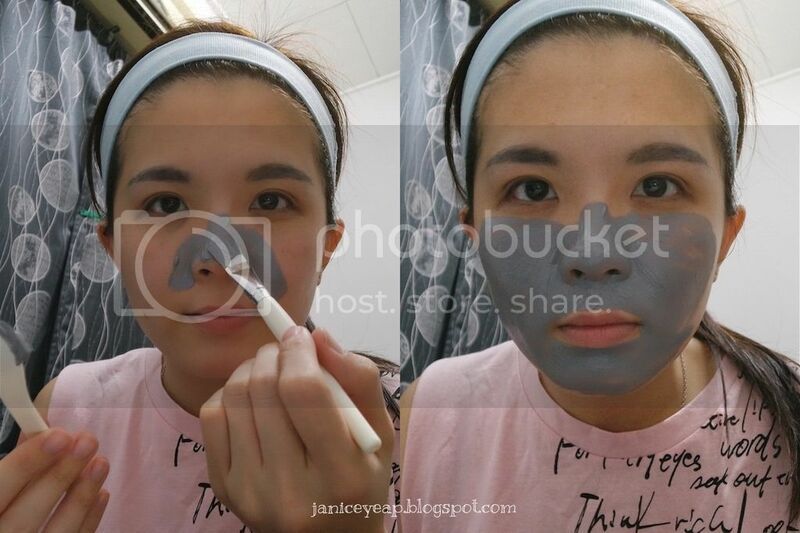 Other than that, the brush is used to get a thin and even layer of clay mask on my face. Try to spread evenly and ensure that all the areas on the face have been covered and try to avoid the skin around the eye. Remember to use a headband or hairpins to pin up the hair to avoid the hair touching the face and the clay mask. 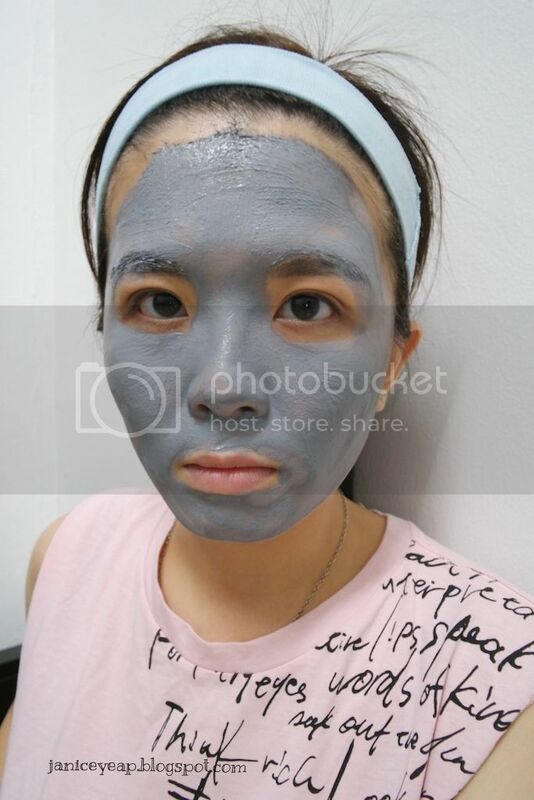 The Waterclay Mask can be used on the entire face and also partially on areas with excessive sebum. The mask is easy to apply with a watery base. Upon application, I noticed the mask dries quickly without any feeling of itchiness or tingling effect. However I could feel the stiffness of my face if I leave the mask on for too long. Tips: If you are unsure of whether you have enlarged (monster) pores, you will just have to wait for the mask to dry up and immediate results will be seen. Visible pores can be seen on my cheeks and nose. When the mask dries up in approximately 10 minutes, wash the face with water and it is recommended to use the sponge provided to remove the mask more effectively. I noticed the difference on my skin after the removing the mask. I can feel an instant smoothness and softness on my skin. I also noticed the pores are minimised especially on the cheek area after using the Waterclay Mask. 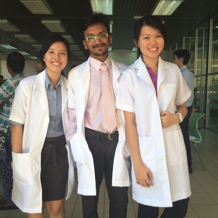 P/s: Ignore the freckles on my face in the photo below. 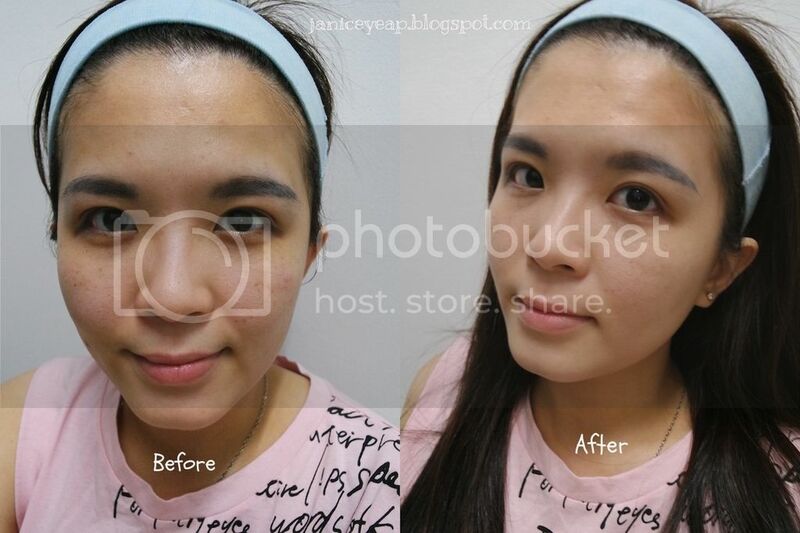 Before and After Photo - Pores are minimized after using the Mini Pore Waterclay Mask. Next step is to apply Mini Pore Blurring Tightener after applying toner and mask. Mini Pore Blurring Tightener is an embossed skincare to control oil shine and to tighten pores. It also works to blur pore lines and care for enlarged and dry pores caused by excessive sebum secretion. Similar to the Mini Pore Waterclay Mask, the Blurring Tightener is formulated with Pore MinimizingTM with Mint Water and Pine Needle Extracts. The combination of these extracts strengthens the skin's barrier by supplying moisture to the skin while treating pore dryness. Used as the last step of the skincare regime, this Blurring Tightener helps to cover up big hollow monster pores to give soft and smooth skin. It also controls oil and sebum production and prevent pore enlargement from accelerating. The last step is to use BB Cushion Pore Control to achieve flawless makeup since monster pores are well taken care of with all-new Mini Pore range. BB Cushion Pore Control has been in the market for quite sometime now and they reintroduce it to complement the Mini Pore range. It is targeted to cover up the pores and any skin imperfections and at the same time, filling in any bumps on the skin and pores like a primer. 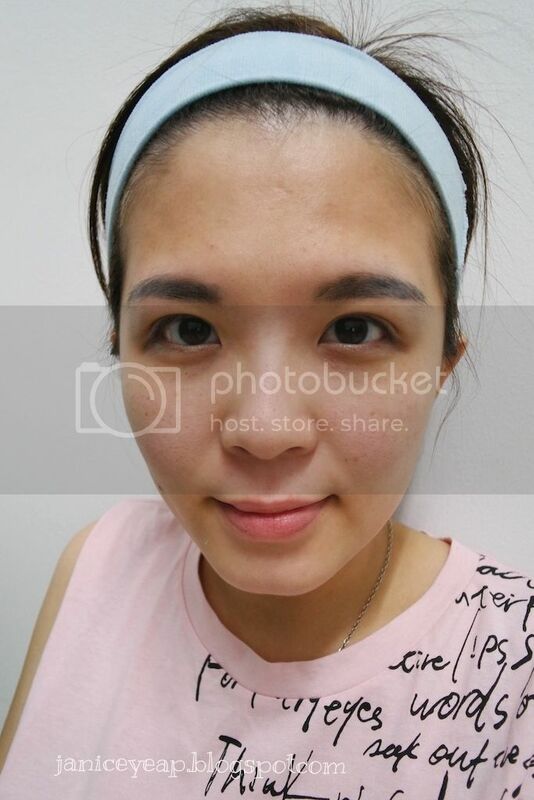 I personally a fan of Laneige BB Cushion Pore Control and I am satisfied with their BB Cushion as it helps to achieve a perfect, flawless, pore-free makeup finish (you can see from the photo taken above). The shade which I am using is 21 Natural Beige which is also good enough to make my skin looking flawless and natural. FYI, BB Cushion Pore Control comes in 7 shades to suit all different skin tone from fair to dark which is a good choice for girls of different skin tone. Ever since I went for Laneige K-Beauty Blogger Workshop 2 years ago, I started using BB Cushion from Laneige and ever since then I have been using from the old packaging to the latest one. You can also use this BB Cushion to cover up your dark eye circles by patting the area lightly for more coverage. You can also notice that my freckles / pigmentations are well covered with only BB Cushion. 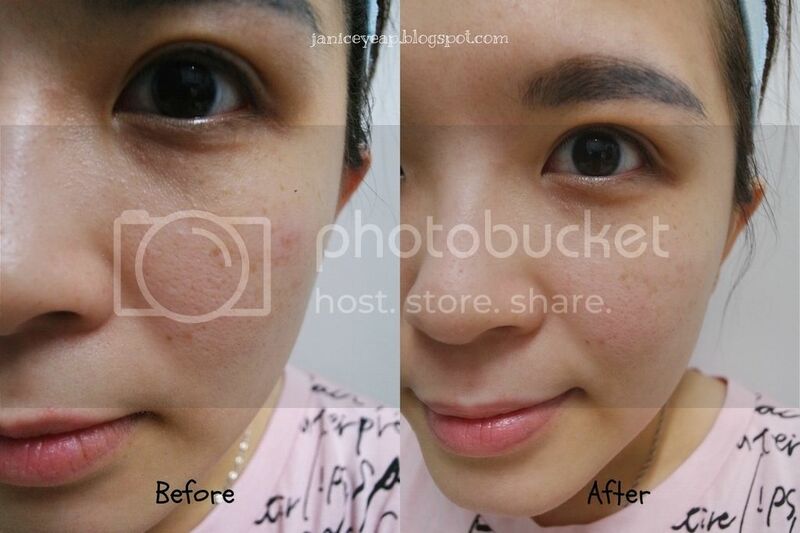 If you do not like thick foundation on your face, I guess this BB Cushion Pore Control is the right choice for you. I do not like thick foundation on my face as it gets cakey very fast and my makeup will not look natural like how I want to achieve those flawless makeup look just like the Koreans. Other than that, if you want to keep your skin feeling fresh and soft all day long without an oily feeling, BB Cushion Pore Control is the right choice for you. It cools down the skin as soon as it touches it, Plus, it contains powerful Dual Powder Formula to keep makeup looking fresh and soft for 12 hours without darkening. You can have light, but bright and clean makeup all day long without looking oily. It even provides good protection against harmful UV rays and prevents skin trouble with the rejuvenating pore purification effect of Pore Purifying Complex. 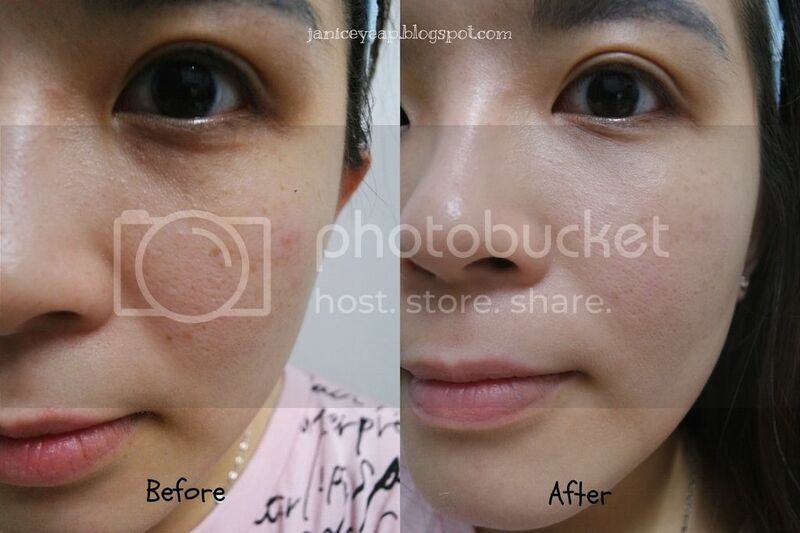 Overall, I am satisfied with the results from this Mini Pore range and BB Cushion Pore Control. The all-new Mini Pore range and BB Cushion Pore Control SPF 50+ / PA+++ will be available at all Laneige boutiques and beauty counters starting July 2015. 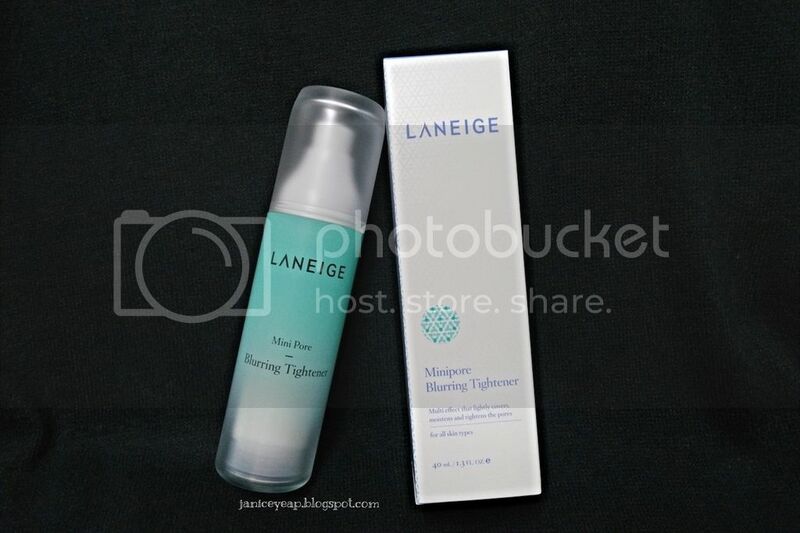 You may also refer to my previous post on the launch of Mini Pore here: http://janiceyeap.blogspot.com/2015/07/say-goodbye-to-monster-pores-with-laneige-mini-pore-range.html.